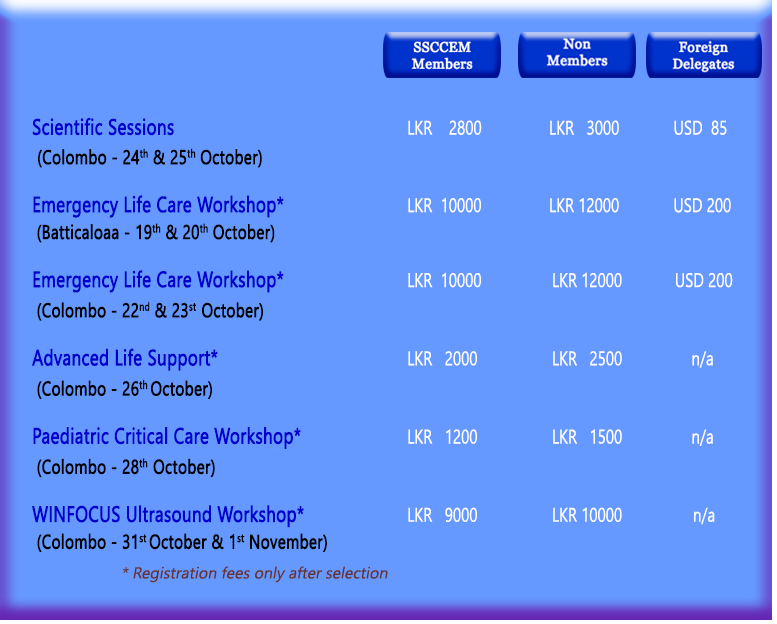 Life members of SSCCEM will enjoy up to a 15% discount on the rates for scientific sessions. Membership must be current at the time of purchase and the proof of membership must be provided by the member at the time of registration. Online registration and limited direct registrations(where applicable) is available. You may renew your membership and register for the conference in one go. The value of the membership extends well beyond the annual conference discount. Please take a picture or scan the bank receipt and send the image of it to webadmin1@ssccem.com to confirm the payment. Payments can be made by cash at the Registration Desk at MICU of NHSL (only for some selected events).